Family, health, friends… Enjoying your life in Rouen with those who are most important to you. You are settled in your new home and you are wondering how your new life here will be? Will your family enjoy living here? Will your child have a quality education? Will your spouse find a job? Can you bring your pet? How will you do to get to your job? And what if you get sick? All of these questions should not worry you. Indeed, Rouen has all the assets to ensure an excellent quality of life and transform your life and your family’s into a fulfilling and rewarding experience. Your family is so important. Your loved ones followed you in this new adventure and their well-being is essential to us. A professional transfer of a member of a family can mean that her/his spouse must had abandon her/his career or professional activity. This is not inevitable and shouldn’t dissuade you from moving to Rouen. With its many job offers, the Rouen area is a dynamic and diverse economic hub: aeronautics, pharmaceutical, automotive, handicraft, health, trade, agriculture, ports activities, digital, logistics, tourism, teaching, tertiary, etc. There are many sectors where she/he could create a new company or find a new job where she/he could develop and value her/his skills. There are a lot of platforms, specialized websites and support structures that offer employment opportunities, personalized accompaniment throughout the process of job-search activities and assistance with setting up new businesses. As an EU citizen, you can carry out in France, without any formality, any employed or self-employed professional activity, with a few exceptions (public and regulated professions). If you have another nationality, non-EU, you will need, in theory, a work permit to carry out an employed activity, no matter how long your professional stay is. There are cases of exemption from work permit as well as residence permits (multi-year residence permit) “worth” work permit. Your children: from the cradle to university! You will not arrive alone … Your family accompanies you in this new assignment ?… Be confident : Rouen offers them an incomparable living place. Renowned for the quality of its school offer (all ages), the leisure activities variety or simply its living environment, it is a city dedicated to families. Different structures welcome your children when they are too young to go to school: collective crèches, associations, company crèches, day nurseries, maternal assistants, home guards shared (with another family) or not, there are many possibilities. The French school system is renowned for its quality. The diagram below shows the complete course. The compulsory school applies for all children, French or foreign resident in France, from the age of 6 and extends until the age of 16 years. The family also has the possibility of ensuring the children’s education itself (with prior declaration). Service coexists with private institutions, which are subject to state control and can benefit from its assistance (in return for a contract signed with the State). However, the State is the only authority to issue degrees and degrees: diplomas issued by private schools have official value only if they are recognized by the State. The regulation of exams is done at the national level. – Public education is free, neutral and secular, non-confessional and apolitical, by both teachers and students. The choice of a school in the public network is however limited according to a geographical perimeter related to the place of the family residence. – Private education is prized by some parents especially for philosophical, religious, social, geographical reasons, or simply because of the reputation of the chosen institution. Fees are charged for Private education . Rouen can boast of having on its territory a famous University and many Grandes Ecoles (Top French schools), University technical Institutes, higher technician certificate and many specific professional or engeneering schools. The school holidays depend on the area where the school is located. France is divided into 3 academic zones (A, B, C). The Rouen Academy is located in Zone B. If you are not French but you are living in the French territory with your family, you can benefit from some financial benefits such as family allowances. The offer of recreation for young people in Rouen and its surroundings, is certainly very vast and the range of proposed activities is wide: sports, music, dance, youth movements, scouting, children’s shows, libraries, fun museum tours … your children will not be bored. In addition, during the school holidays, the city of Rouen organizes various workshops and dedicated courses under the name “Your Holidays in Rouen”. In Louviers, the city offers the opportunity to 17 year olds to win a first “Summer Job”. Elbeuf has set up a program and tools specifically designed for young people. “Anim’Elbeuf” organizes educational and recreational activities, cultural and sports activities, outings and stays for teenagers and young adults during after-school time and school holidays. Finally, many festivals for children punctuate Rouen’s life throughout the year. It is part of your family. There is no way you’re coming without it! You’re maybe coming to France with your pet. Wether you come from a UE State or not, you have to follow specific health formalities. Thus, you need to get your pet a European pet passport. You must also know that the introduction of some breed of dogs is forbidden in France. Customs controls may occur and sanctions can be made if you break the health rules. You have chosen to come to live in Rouen … And now you are in front of a new environment, promise of a new life. So that this new environment quickly becomes yours, here are some ways to help you make your marks, to build links without giving up your origins. Mastering the French language is essential and is the guarantee of success of your installation in France, and in Rouen. To help you in this learning, there are organizations and institutions that offer French courses for new expats. You will be able to find the formula that suits you best according to the schedules, the frequency of the courses and the location of the school where this teaching is provided. There are many ways to discover Rouen.Alone, with the plan of the Office of tourism or according to your steps, which is still the best way to manage your new environment. Rouen Tourist Office publishes twice a year a guide named “Rendez-vous” gathering organized tours to discover the territory. In winter or summer, alone or in a group, there are more than 600 possible “Rendez-vous” to discover the historical, natural, industrial and impressionist heritage of Rouen and the towns and villages of all the Métropole Rouen Normandie. You will find the program of guided tours (on reservation only) in the leaflet “Rendez-vous …” available at the Tourist Office. It should be noted that the geographical area of the Tourist Office of Rouen also covers the city of Elbeuf and its territory. To help you to discover your new city the Greeters are at your disposal. Ambassadors of Rouen, they are volunteers and speak several languages. During a short jaunt they will be happy to accompany you and show you the city in a different way, by revealing the places that are dear to them. For a list of Rouennais greeters, visit the website of the Rouen Tourist Office. There is also an association “AVF”, Home of French Cities, which sole purpose is to welcome you, listen to you, inform you and distract you. If you have chosen to settle in Louviers area and want to discover the region, the Seine Eure Tourist Office, located in the old clothier city center, will kindly inform you. A new life means also enter Rouen’s life, build links, expand networks. Once settled in Rouen, it is natural to get integrated as best as possible in its new environment. Building a new network of relationships is the key to your success in your new life. You can first establish new contacts with your co-workers, your neighbors or the parents of your children’s friends, if you have any. The Rouen schools are indeed famous for facilitating the integration of new families. There are various ways to expand your network, friendly, social or professional. On the first Saturday of September, every year, the Associations’ forum is held in Rouen, it will be possible for you to meet thousands volunteers to help you in your leisure choice. programmed for this purpose and are the ideal place to meet, share, exchange, and get to know each other. If it is important to open up to a new network of friends and acquaintances, it is equally important for the expatriate and his family not to lose any connection with his or her original culture. You may want to meet other Rouennais who are from the same country as yours, speak your language or share your customs … You will also like to meet other expats to share your experiences and your courses. Where and how to meet them? With the godparents who are part of the sponsorship network set up by Rouen Normandy Invest and mentioned above, you will be able to find compatriots and with them continue to live your customs and traditions, recreate some of the atmosphere of your country: party national, Halloween, Saint-Nicolas, … When we drew up our list of sponsors we made sure that most nationalities were represented. Most French cities have developed friendly ties with other cities around the world. Rouen, for example, is twinned with Cleveland (USA), Norwich (GB), Hanover (D), Salerno (It), Ningbo (China) and Jeju (South Korea). Elbeuf has initiated a friendly bond with the city of Lingen, Germany. As for Evreux, it is twinned with Rüsselsheim in Germany, Rugby in England and Kashira in Russia. Different associations, which are true meeting place between French and expatriates, are based in Rouen. There are, for example, the association “Circolo Italiano” or the association “Culture et Loisirs des Portugais”. Associations like “Circolo Italiano” or the Portuguese Culture and Leisure Association in Rouen (based in Petit-Quevilly), are meeting places between Rouennais and native of these countries. The Scandinavian Seafarers’ International Home, located near the Norwegian St. Olaf Church (in Duguay-Trouin Street), built in 1926 by the Norwegian Mission, is now a meeting place for all sailors calling at the city of Rouen. There is also in Rouen an English bookshop, which can provide you with English readings. In addition, there are many shops and international counters in Rouen where you will be able to find some of your country. Of course, we do not wish you to get sick! But if that were the case, know that Rouen and its region have a medical offer of very high level, and that in France your health costs will be largely reimbursed. To help you find a doctor there are specialized websites, such as Doctolib or Mondocteur. However, the passage to a specialist is, in France, compulsorily subject to a prior visit to your doctor. It is impossible, for example, to consult a cardiologist without having previously seen his referring physician, most of the time a generalist. There are five exceptions to this: the pediatrician, the gynecologist, the ophthalmologist, the stomatologist-dentist and the psychiatrist. ional reputation. With a completely modernized emergency. service and nearly 2,500 beds spread over 5 sites, it is a high-standard institution gathering all medical specialties. It is ranked 9th university hospital in France, out of 50 referenced .It is famous outside the borders for advanced disciplines. 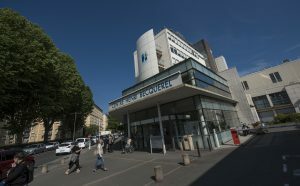 The largest employer in the region with more than 10,000 people, including 960 doctors and 600 interns, Rouen University Hospital Center, a regional training center for health professionals, has a Regional Health Professions Training Center which includes its 11 paramedical schools. and welcomes 1,500 students. The hospital has about 140,000 hospitalizations and 150,000 emergency room visits a year. In addition to the public sector hospitals, Rouen also has five private clinics with a solid reputation. Here is the list: Clinique Mathilde, Clinic of Europe, Clinique Saint-Hilaire, Clinique du Cèdre, Clinique Saint Antoine. All health care facilities do not have an emergency service. 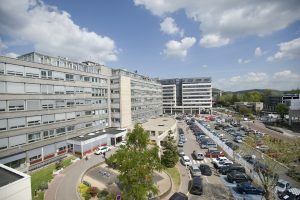 In the event of a medical emergency, the easiest way is to go to the Emergency Department of Charles Nicolle University Hospital, Saint-Julien Hospital (Petit-Quevilly, on the Left Bank), the Clinique de l’Europe ( Idem) or the Cedar Clinic (on the heights of Bois Guillaume, and specialized for orthopedic trauma). Reimbursing your health care: how does it work? Medical expenses are reimbursed according to pre-established scales. – Sector 3: doctors practice their art outside of a medical convention, we also speak of “unconventional doctor”. They apply freely decided fees. Social security intervenes for a very small part in the reimbursement. This system leaves a small percentage to the patients’ load (a little less than 10% on average). This rate is one of the lowest in Europe. Supplementary health insurance sometimes covers almost all health expenditure, which further reduces the patient’s financial contribution. Concretely, how will it be? However, in rare cases (computer crash, or forgetting your card, for example) it may be that your doctor gives you a request for reimbursement of care. Part of this sheet is filled by the prescriber, the other part by yourself. Once completed, you still have to send it to the Social Security (CPAM Rouen – Elbeuf – Dieppe) by mail. In principle the latter will send your file to your mutual and the money will be paid directly to your bank account or delivered in the form of a check to cash with your bank. Social security covers all the care provided in a public hospital. For private clinics, the reimbursement will be at the level of the Convention rate but any overruns in medical fees, meals or room rates will not be shared. not supported. It is then your mutual that can intervene for the balance, according to the terms of the contract. For more information on social protection in France, we refer you to the CLEISS website, the European and International Social Security Liaison Center. to take out complementary health insurance, or mutual health private, will allow you to obtain a supplement to the refunds of Social Security. Nothing’s easier. Not only does the city have a vastly expanded public transport network, but it is also easily accessible thanks to its excellent road and rail connections. The city of Rouen is a city with a human dimension. The best way to discover it is to walk. And whether it’s shopping, monuments, museums, walks on the docks, markets, … everything remains in a restricted area. Rouen is not a big city, but at every street corner, there are many amazing and surprising places. The Tourist Office of Rouen is at your disposal plans and courses. The public transport network of Rouen metropolis, “réseau astuce” efficient and developed, is very extensive. Many lines serve the various points of the cities of Rouen and Elbeuf with a regular frequency and various axes. -2 metro lines: these lines provide the North / South junction of the city of Rouen metropolis. They circulate from 4:30 to 23H. -3 TEOR lines (Transport Est Ouest Rouennais) The TEOR circulates in its own site from 4:30 am to 11:30 pm. The ASTUCE card, a rechargeable, multi-choice smart card, allows you to move around the entire network. self-service bicycles, the Cy’clic. Subscriptions are by year, semester, week or day. In the city center or around the places of life, the terminals are present every 350 meters, grouping 24 different stations. There are many bike paths in Rouen and their number is expected to grow in the coming months. But beware … it takes good calves, because in Rouen it goes down and … it goes up! For some residents, residential parking is allowed to benefit from a preferential parking rate, in the form of a subscription attached to the area where the user is domiciled. Finally there are also two taxi companies operating in Rouen and a dozen taxi stations are distributed throughout the city. Rouen is also close to northern European capitals by car. There are several companies providing trips to Paris or even further (Ouibus, Flixbus, …). The prices are very low, however the journey time is longer. In Rouen, in Normandy and on the outskirts of Paris, there are many airports that can be reached quickly. – Corsica (A / R every Saturday in summer – 2 hours flight). The advantage: close to Rouen and free parking. Rouen also has a marina located in the Bassin Saint-Gervais west of the city and not far from the wharfs. This base can accommodate about 100 pleasure boats on floating pontoons with catways in a completely secure space. 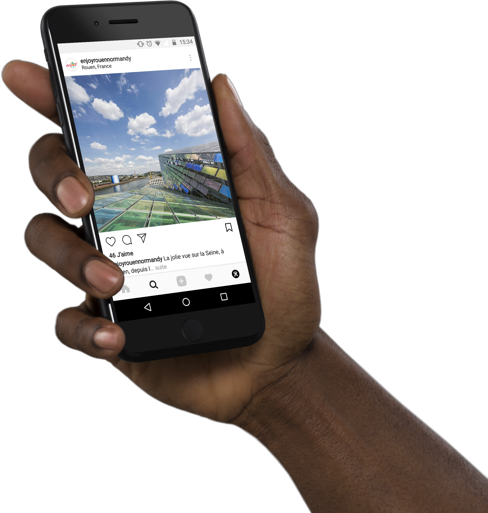 Also available: a launching ramp, a fairing area to maintain the boats, a fuel station, electrical and water supply terminals and a wifi connection on the pontoons.